Golfers Elbow or Medial Epicondylitis is the most common injury among golf players. The pain from golfers elbow is due to tendonitis or inflammation on the tendon on the inside of the elbow, which is a similar injury to tennis elbow where the pain occurs on the outside of the elbow. This golf injury is often caused by repetitive stress or overuse in bending and rotating the wrist. The pain from golfers elbow can be nagging and become severe. Golfers often want to know what the best cure or treatment is for pain relief. The number one thing to do is rest and ice. However, many athletes often ask if they can continue golfing with golfers elbow. 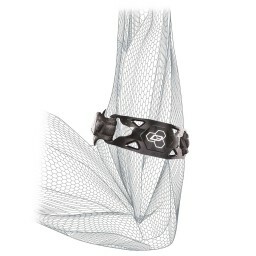 If you are playing golf with golfers elbow, it is important to wear a counterforce brace or support for golfers elbow. 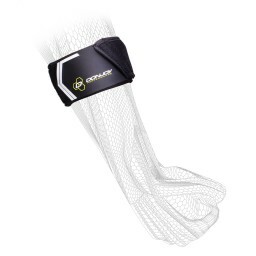 This type of elbow brace often comes in strap or band form with compression which helps relieve and take the strain off of the tendon. 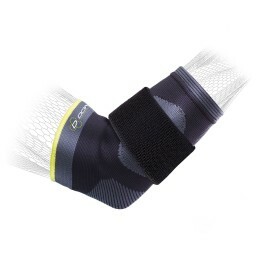 The support for golfers elbow should be worn even when you are not actively playing golf. Add in a light massage and stretching to your wrist and forearm area to help reduce tension in the tendon.